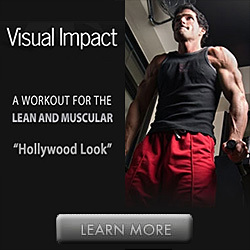 ← Are you having trouble building muscle? 1. Biceps brachii – two muscles at the front upper arm that run from the elbow to the shoulders. 2. Triceps brachii – three muscles at the rear upper arm that run from the elbow to the shoulder. 3. Forearm – several smaller muscles that run from the elbow to the wrist. There are seven classic exercises that will allow beginners to get off to a good muscle building start without overstraining their bodies. For all of the exercises that follow, use a weight that is light enough to allow between 10-15 reps.
1. Standing barbell curl – 3 sets of 10-15 reps.
2. Alternative standing dumbbell curls – 3 sets of 10-15 reps.
3. 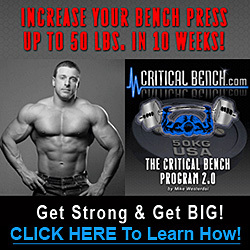 Preacher bench curls – 3 sets of 10-15 reps.
1. Dips – 3 sets of 10-15 reps.
2. Close grip bench press – 3 sets of 10-15 reps.
3. EZ bar lying extensions – 3 sets of 10-15 reps.
1. EZ bar reverse curls – 3 sets of 10-15 reps.